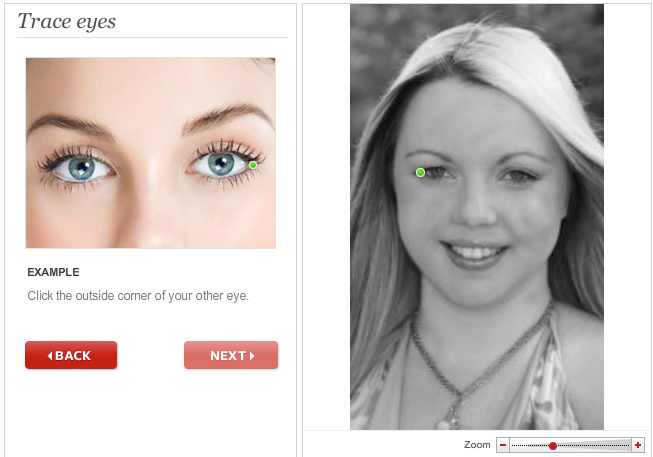 InStyle has a very easy to use makeover system. You can try on celebrity haircuts before having them done yourself, you can try on different kinds of lipstick and eye makeup and see how it looks before buying real products in real life. 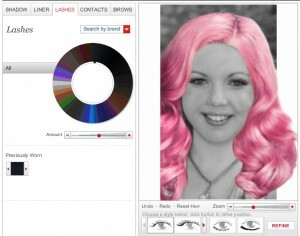 Unlike other makeover websites, InStyle doesn’t require any kind of registration. The system is completely free. 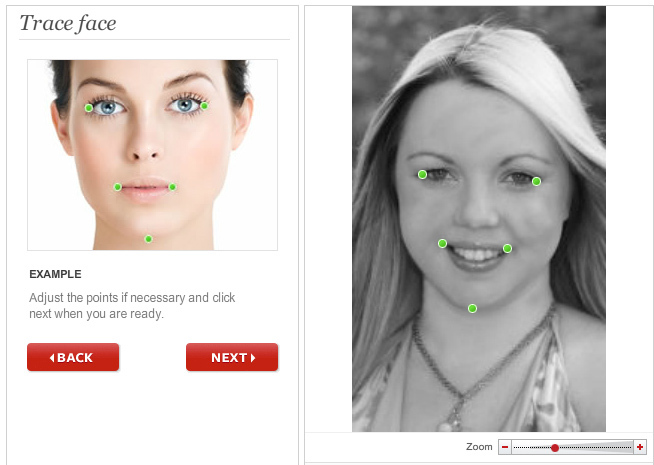 Here’s how to use the InStyle Makeover system. 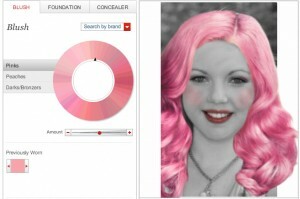 Step 1: Upload Your Photo Go to: http://www.instyle.com/instyle/makeover/ Click “Start Your Makeover” to get started. 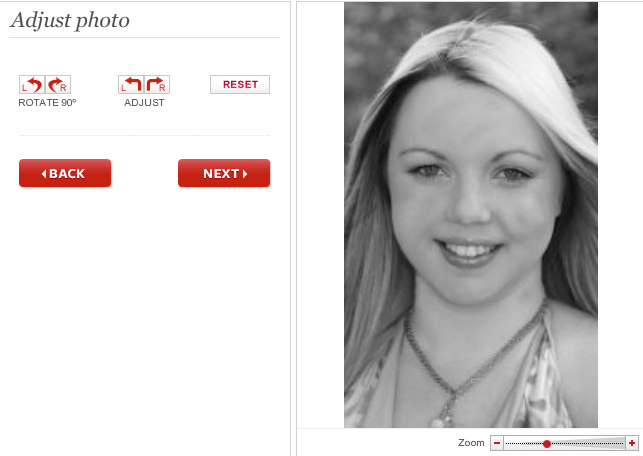 Then click “Browse” and choose a photo to upload. If the photo needs to be zoomed in or rotated, you can do that here. The software will ask you to identify a few different parts of the face, starting with the eyes. The whole process should take under 3 minutes. All you need to do is point and click. You can adjust the height, width and zoom of the new hairstyle in the bottom panel. You can pick a different color for the style you’re wearing by clicking “Hair Color” in the sub-navigation menu. 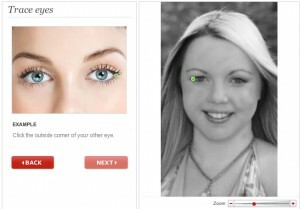 Click “Eyes” in the top navigation menu to switch to the eye makeup screen. Choose between shadow, liner, lashes, contacts or brows in the sub-navigation menu. 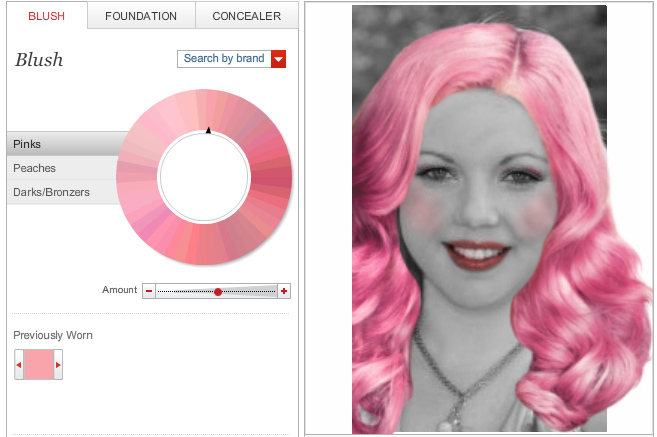 Then choose the color and amount. Click “Lips” in the top navigation menu to access the lips menu. Choose between lipstick, lip gloss and lip liner. 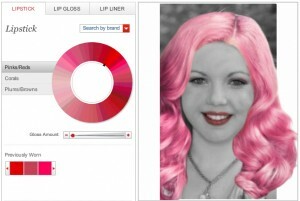 Choose the specific color and the amount you want to apply. Click “Skin” to access the skin makeup menu. Choose between blush, foundation and concealer. Choose the shade you want to apply and how much you want to apply. 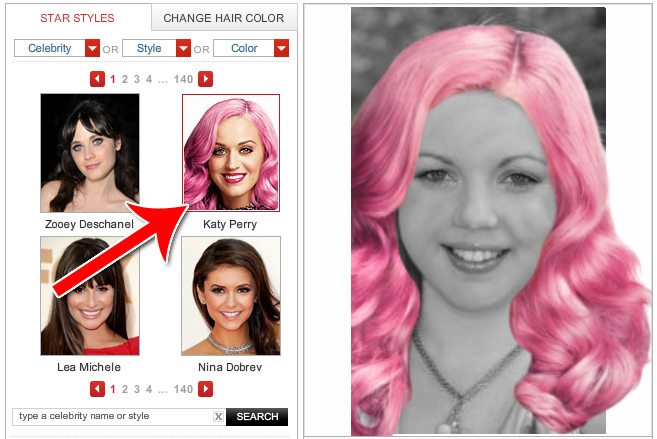 If you want to download, print, email or share your makeover, click one of the icons in the panel to the right. 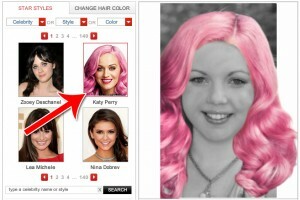 That’s how to use InStyle’s makeover system! 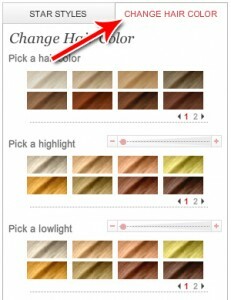 You can use this to previous all kinds of different styles before you go to a salon and get it done in person.